Our Standard Installation Warranty is our Standard One Year Warranty Included with any labor we perform. Portland Flooring & Carpet of Oregon City (503)451-5353. 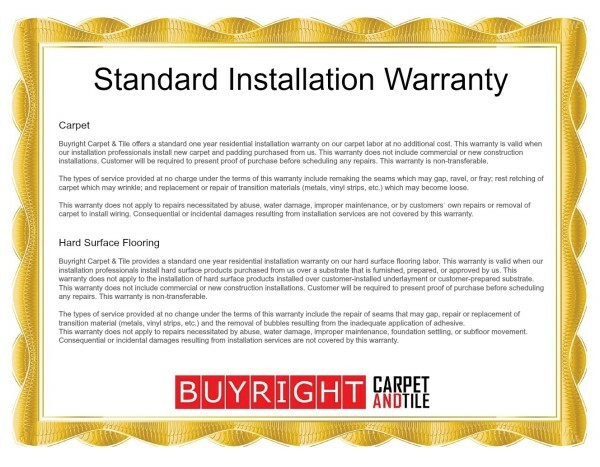 Standard Installation Warranty Information for Carpet, Vinyl, Marmoleum, Hardwood Flooring, Tile & Laminate.